The unheralded workforce that helps the Silicon Valley tech industry thrive–shuttle bus drivers, janitors, security guards, and landscapers–is the subject of a new study by the Everett Program at UC Santa Cruz. 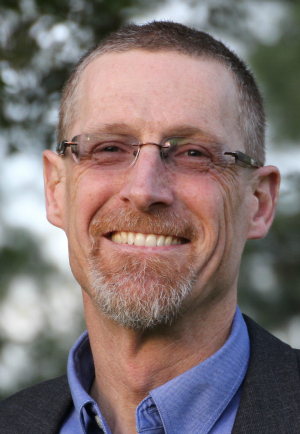 Chris Benner, professor of environmental studies and director of the Everett Program at UC Santa Cruz. This largely invisible workforce is the focus of a new report by Chris Benner, UC Santa Cruz professor of environmental studies and sociology, and Kyle Neering, a UCSC economics graduate student. 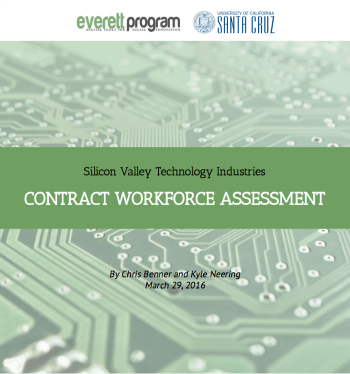 Silicon Valley Technology Industries Contract Workforce Assessment explores inequalities that prevail in the population that serves the tech elite. The study was done in collaboration with Working Partnerships USA, a Silicon Valley community organization that seeks to bring together public policy and the power of grassroots organizing to promote a just economy in the region. According to the report’s findings, many service roles in Silicon Valley are typically contracted out, a practice that Benner and Neering argue contributes to the area’s growing income disparity. “While prominent Silicon Valley companies are experiencing record revenues and profits, and wages of their direct employees are generally above average, many contract employees are excluded from these benefits,” Benner and Neering say. 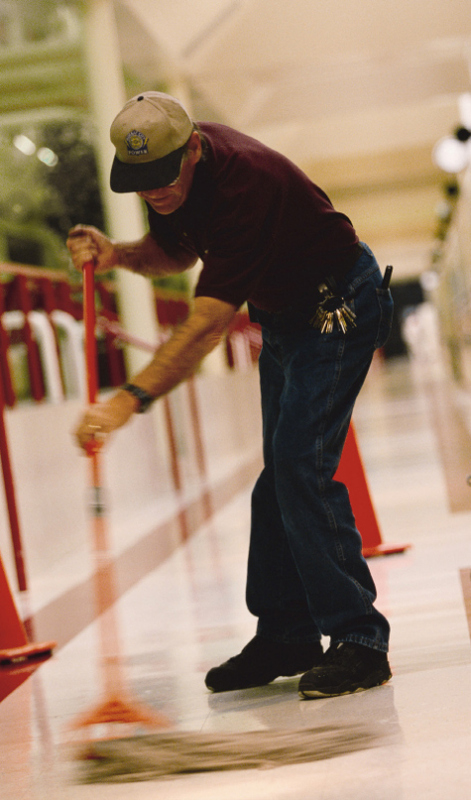 For example, the researchers found that contracted laborers are disproportionately African American or Latino. On average, they earn 70 percent of what comparable directly hired employees of high-tech firms earn. One in three fall below 200 percent of the Federal Poverty Level ($24,300 for 2016). Despite a 39-hour workweek, one in 10 blue collar workers relies on food stamps. One of the more disturbing findings Benner and Neering discovered was the resulting consequences of being unable to afford housing. Benner predicts as many as 78,000 people are in positions indirectly impacted by the contracting practice of high-tech firms. An estimated 19,000-39,000 are in low- and medium-wage occupations, more when outsourced white-collar jobs, such as sales representatives, couriers and messengers, software developers and computer programmers, are accounted for. “More than one in six spend more than half of their total income on housing, leaving little left for other basic necessities in life,” Benner and Neering report. Twenty-two percent live with other families, and 36 percent live with extended families spanning three generations. “What is clear from this research is that the contract workforce is a substantial portion of the region’s labor market, and the worse employment and economic conditions they face should clearly be of broad concern,” Benner and Neering conclude. The report grows out of Benner’s research focus on the relationships between technological change, regional development, and structures of economic opportunity. He recently co-wrote Equity, Growth and Community with Manuel Pastor, a UC Santa Cruz alumnus and professor now at the University of Southern California. The book examines nearly 200 U.S. metropolitan regions to better understand what makes a city economically sustainable. The study of contract workers was conducted in partnership with the Everett Program, a research center on campus dedicated to building social innovation through technology. Research was funded with a grant from the Institute for Research on Labor and Employment at UC Berkeley.